Joe Buttitta has been teaching golf at Westlake Golf Course since 1991. He has been certified to teach the golf swing by the PGA of America, along with the Single Plane swing by Natural Golf. 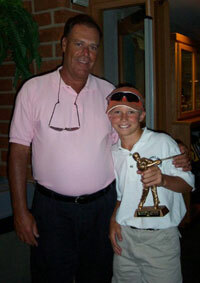 He has also been very involved in Westlake’s Summer Junior Golf Camps for many years. Prior to teaching at Westlake he was an adjunct professor of Physical Education at Cal State Northridge teaching golf and tennis. Joe has been an active member of the southern California media having been sports director at KGIL Radio and KTLA, channel 5, in Los Angeles. While at KTLA he served as the television play-by-play voice of the California Angels and UCLA football and basketball. His golf tips appear regularly in the Ventura County Star. His weekly golf column appeared in the L.A. Daily News for 23 years. Private half hour lessons are $50, there is a 6 lesson private package for $250. To play 9 holes with Joe is $150. Joe Buttitta can be reached at 805-208-1467, or through his personal website at Web.me.com/igolfsopaw. 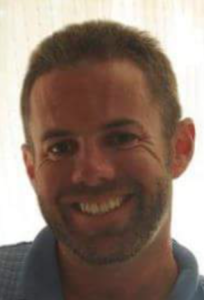 George Gankas is a teaching professional out of Westlake Golf Course since 2007. George graduated with a psychology degree from Cal State Northridge in 1995. 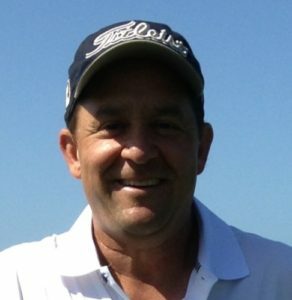 In 1996 he turned professional and played mini tours while starting to teach at the same time.George has become an instructor for players of all levels including members of the Nationwide Tour, Canadian Tour, Hooters Tour and the Gateway Tour, Div 1 college golfers, elite amateurs, high profile celebrities, professional athletes, and a number of up and coming junior golfers. George’s unique approach to teaching comes from countless hours of research on the golf swing. He studies swings from the greatest golfers of past time and never stops learning from the best players of our time. His passion for the game of golf keeps him motivated to help every golfer he comes across. My name is Ross Fulgentis. I’m passionate about the game of golf. I’ve been playing since I moved to Westlake Village in 1987. I’ve dedicated my life to the game and love everything about it. I’m most passionate about helping others achieve their goals in the game of golf. 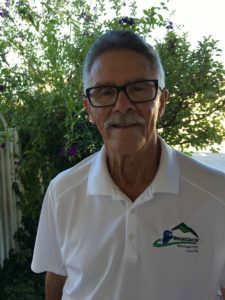 Coleman Gibson has been a teaching golf professional since 1983 and has been at Westlake Golf Course since 1989. Coleman has a wide range of clientele ranging from beginner golfers to experienced veterans. To schedule a private or group lesson, contact the Westlake Pro Shop at (818) 889-0770 ext 240. 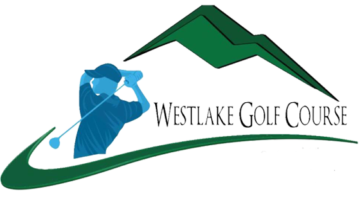 Thanks for coming to WestlakeGC.com! My name is Steve Holmes and have been in the golf industry for 30+ years. I’ve been fortunate to have both played and taught on the PGA Tour. I am currently a coach for the #1 ranked UCLA Women’s Golf Team and have worked with 3 of the last 4 #1 ranked amateurs in the world. I am available for both group and private lessons. In a typical lesson Trackman, V1Golf and Aimpoint will be used to help students lower their scores. Ted Lehmann PGA Professional can be reached at 818-889-0770 ext 241. 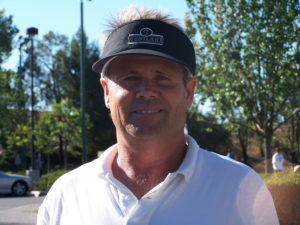 Rich Greenwood grew up in the San Fernando Valley and first learned to play the game at El Caballero Country Club. He attended UCLA from 1984 to 1989. 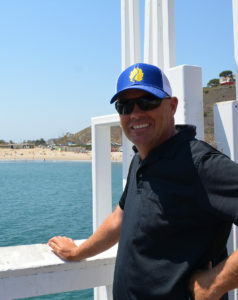 During his career at UCLA, Rich won many events individually such as the Pasadena City Championship, UCLA/Bill Bryant Invitational, Western Intercollegiate and twice a winner at the Costa Mesa City Championship. Rich was also nominated to the All Pac 10 team in 1987 and was the captain of the UCLA Men’s Golf Team in 1989. The highlight of his collegiate career was winning the NCAA National Team Championship in 1988 at North Ranch Country Club. This was the first NCAA Golf title taken home by the Bruins. Rich turned pro in 1989 after graduation. He spent the next 5 years playing in Southeast-Asia, Canada and a variety of Web.com events. Rich won the Northern California Open in 1990. From 1995 to 2002, he has taught at El Caballero Country Club and Brentwood Country Club. Rich got the highest honor to become Director of Instruction where he has held this position for 11 years at Tour Golf in Agoura Hills, California. As a player, he still remains competitive in the Southern California PGA Section. He currently is a member of the PGA. 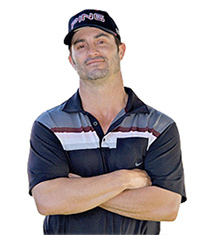 Rich in 2011 co-stared and produced the docu-reality series “Pipe Dream” which followed homeless golf pro Mark Burk on his pursuit to get his life back on track. This was a 10 week reality series featured on the Golf Channel. From the success of Pipe Dream he had an opportunity to be a consulting producer on the follow up series “Chasing the Dream”. 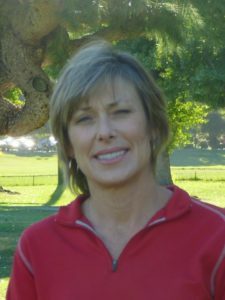 Chris Lehmann Vatcher, LPGA Class A, has been teaching at Westlake GC since 1989. She instructs women, men, and juniors of all skill levels. Chris has been co-director of the Westlake Summer Junior Golf Program for over 25 years. She has been selected to receive the U.S. KIDS GOLF TOP 50 Kids TEACHERS Award Honorable Mention. Prior to coming to Westlake, she played on the LPGA Tour & European Tour including playing in two U.S. Opens and two British Opens. Previously she played 4 years of college golf at BYU where she won two tournaments and was an all-conference selection. Hi, I’m Steve Walker. I’ve been teaching golf for over 30 years. I’m so proud to say, the past 26 years at Westlake Golf Course. Thanks to Chris Vatcher, I found a home at WGC. WGC is a special place, filled with extraordinary people. I treasure the many personal friendships that have developed with my students and our wonderful staff. At Westlake G C, our biggest asset is our customers. Come join us and discover: Tradition, integrity and honesty not only survive, but thrive at WGC. I teach all ages and offer private and group lessons. I am the Director of Westlake Junior Golf Academy. Also, I am honored to serve as Co Director of the Westlake Junior Golf Summer Program, with Chrissy Vatcher. My sincere thanks to the thousands of juniors who have kept me young through the years. It’s been a blast. I owe you one. If you need a swing tune up, the first one is on me. Or drop me a line and let me know how your life is shaping up. The beaming young man in the picture is Brandon Hagy. Brandon graduated Cal, with Honors, on a golf scholarship. He is currently playing on the PGA Tour. I’m sure he will soar to the top. A shining example of how ethics and character make golf more than a sport.